Rated 5 out of 5 by Majestyx12 from Ballerina killer I Loved the pictures in the HOPs. Some morphs were really hard. I mostly get the Collector's Editions because I like the extras. I like looking for the boxes and morphs. The souvenirs are nice because I can revisit the scenes. Skipped most of the puzzles. 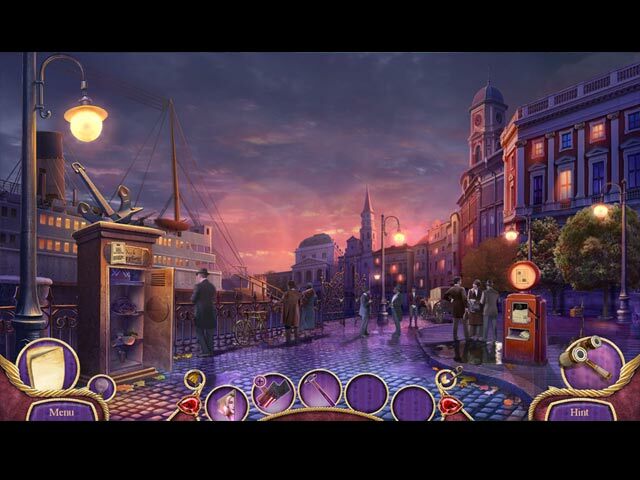 I'm in it for the Hidden Objects because it's relaxing and the puzzles frustrate me. I liked the storyline. Rated 5 out of 5 by CrayzeeGyrl70 from Awesome It is awesome!! Now one of my favorites. Rated 5 out of 5 by Marja67 from Best ever. Love all the Maze games. This is the best. Beautiful graphics and good music. Really good story line too. Rated 5 out of 5 by biscuitsmama from I'M OBSESSED WITH OMINOUS OBSESSION! 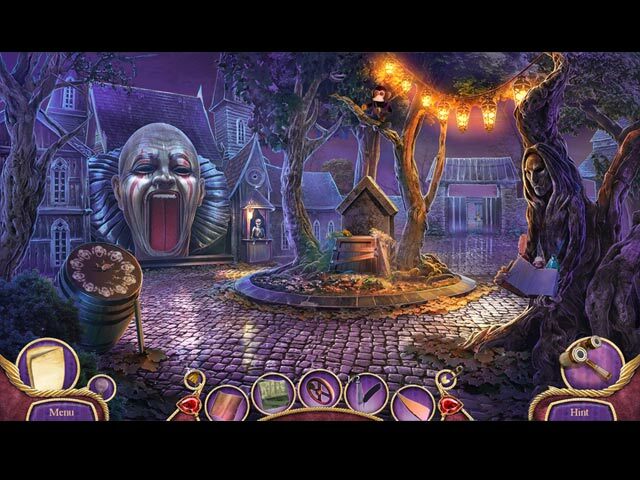 In the new Danse Macabre Ominous Obsession you find yourself neck deep in a mystery after your friend Maria is kidnapped. Maria has a great future ahead of her in films in America – that is if you can find her and help her achieve her dream. I actually am impressed that this game has some great puzzles and HOPS. Some of the HOPS seem better than usual as are the puzzles that, at least for me, seemed to have more challenge. Yes, there was a very easy gate puzzle and then another on the ship that could have been a bit more difficult but I enjoyed most of the puzzles right from the beginning of the game and found them to be different than those we normally see from this developer. IMHO, the developer did a great job by bringing us puzzles that have some new twists. I loved the one where we have to weave a cover of ribbons. I am not going to detail all the puzzles or HOPS I have encountered today because other reviewers do an excellent job of covering the nitty-gritty for you. As usual the graphics and all of the other video features in the game are top quality but I did notice that some voiceovers are not lip- synced. The game does have the custom setting that I love and then we have the interactive, transporter type map to help us on our adventure. The CE version has the predictable collectibles, morphing objects and other standards but I happen to love CEs because of the in-game Strategy Guide even though I rarely use it. It is often very helpful to clarify instructions for the puzzles if one is not sure what to do. Many seasoned gamers will not agree with my opinion of the game because it is what they call cookie-cutter and that is okay. How we perceive games is very personal and subjective so not everyone will love this game. I have purchased and played almost every HOPA game since I became a BFG member over ten years ago. 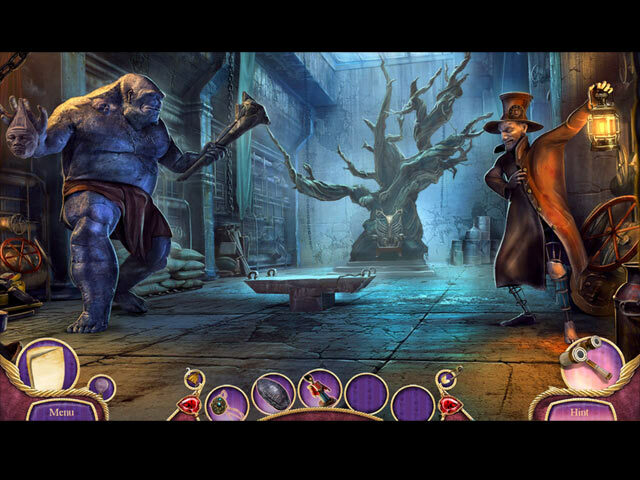 I am absolutely a total fan of the HOPA genre and never seem to tire of playing this type of game. Yes they are the same thing many times because aside from the storyline and graphics there is not really too much room to create something different. I too have my days when I seem to be tired of playing HOPA games but I inevitably just have to return to fill my passion for playing HOPA game. I happen to love the storyline for Ominous Obsession and have played the game off and on most of the day. It is a great game – at least for me – and one I find has enough challenge and difference to keep me well-entertained. As always, please try the demo to see if Ominous Obsession is a game you will enjoy as well. Rated 5 out of 5 by kdblueey from BEST DANSE MACABRE GAME TO DATE BASED ON COMPLETION OF DEMO ONLY: I knew from the very first cut scene that this would be a great game to play, and for these reasons: 1. The cut scenes were remarkably clear and concise 2. The music gave the feeling of what adventure and intrigue were yet to come. 3. The HOS were somewhat on the difficult side but were still on the FUN side.The morphing objects were also difficult to find, as they didn't seem to morph as quickly as perhaps other games. 4. An interactive map that was simple and easy to read. 5. A very interesting story line that makes you eager to want to finish. All in all, even though I rarely buy CE's because I can do without all of the extras, with this game, I will definitely make an exception. Give the demo a try, you might agree with some of the other great reviews already posted. Rated 5 out of 5 by 1955raven from DANCING WITH DANGER! OMINOUS OBESSION! THEY HAVE BROUGHT DANSE MACABRE UP A NOTCH WITH THIS ADDITION! ENJOYED EVERTHING ABOUT THIS GAME! HOPE TO SEE MORE IN THE FUTURE! Rated 5 out of 5 by grapeleaves from Fantastic Game.!!!! I stopped the trial only because don't want to go to far just want to buy soon. Give me beautiful clear graphics like Epic did l love it.!!! Last game not that interested sorry. I love the hidden objects the more the better. Rated 4 out of 5 by deddu from Danse Macabre Ominous Obsession The graphics in this game are excellent giving a creepy atmosphere. The hidden objects are clever. I particularly liked the witches cauldron. There are morphing objects and silhouettes, and riddles: or you can play match 3. There are also collectibles.